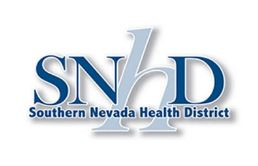 The dashboards and data available through this application are the result of ongoing collaboration between the Nevada Department of Health and Human Services, and the Southern Nevada Health District. The goal was to launch a data tool that provides enhanced data visualization and integration of statewide and geographically-specific non-fatal and fatal opioid-involved overdose and opioid prescription data. The purpose is to provide surveillance of several short and long-term goals currently targeted by Nevada's Prescription Drug Overdose Prevention program. For deaths, emergency department visits, and hospitalizations both crude and age-adjusted rates are avialable for each indicator. Crude death rates equal the total number of deaths during a specific year for a given cause of death (i.e. heroin overdose), divided by the population and multiplied by 100,000. For example, a crude death rate of 20 for heroin overdoses would mean that there were 20 resident deaths from heroin overdose per 100,000 population for a given year. The same approach was used to calculate crude incidence rates for emergency department visits and hospitalizations due to, for example, opioid overdoses. Age-adjusting the rates ensures that differences in incidence or deaths from one year to another, or between one geographic area and another (i.e. county-to-county), are not due to differences in the age distribution of the populations being compared. Only crude rates are available for prescription drug data. All prescription drug measures are based on counts of either prescriptions or residents meeting some criteria (i.e. taking 100+ MMEs of prescription opioids), and divided by the population and multiplied by 1,000. Please note that prescription drug indicators are per 1,000 residents. Please visit the Data Definitions page for detailed descriptions of how each indicator was calculated, assumptions regarding the data, and any limitations. There are two dashboards available for use. Both the State Dashboard and the County Dashboard (links available in the sidebar) display data with an emphasis on where the opioid overdose epidemic is most acute (i.e. by county and zip code), and how it has changed over time in these areas. Please review the Data Definitions page for detailed information on how indicators are calculated. Deaths caused by acute drug poisonings. This indicator includes all overdose deaths regardless of the intent (e.g., unintentional, suicide, assault, or undetermined). This indicator does not include: (1) deaths related to chronic use of drugs (e.g., damage to organs from long-term drug use), (2) deaths due to alcohol and tobacco, and (3) deaths that occur under the influence of drugs, but do not involve acute poisoning (e.g. a car crash that occurred because the driver was drowsy from taking a prescription drug). State & County: Midyear population for the calendar year under surveillance. Midyear county populations were based upon the state demographer population estimates, vintage 2015. Zip Code: Population estimates for Zip Code Tabulation Areas (ZCTAs) were based on American Survey five-year estimates. Estimates were obtained by using the Census Bureau's American Factfinder. Annual mortality rate-crude and age-adjusted (standardized by the direct method to the year 2000 standard U.S. population). Death certificate data from the Nevada Division of Public and Behavioral Health, Office of Vital Statistics Death File (numerator) and population estimates from state demographer and U.S. Census Bureau. Calendar year based on date of death. Drug overdose deaths represents only a small proportion of the overall burden of drug misuse, abuse, dependence, and overdose. The indicator does not distinguish between prescription and illicit drugs as the cause of death. The accuracy of indicators based on codes found in vital statistics data is limited by the completeness and quality of reporting and coding. Death investigations may require weeks or months to complete; while investigations are being conducted, deaths may be assigned a pending status on the death certificate (ICD-10 underlying cause code of R99, 'other ill-defined and unspecified causes of mortality'). Analysis of the percentage of death certificates with an underlying cause of death of R99 by age, over time, and by jurisdiction should be conducted to determine potential impact of incomplete underlying causes of death on drug overdose death indicators. Drug overdose deaths caused by acute poisonings that involve any opioid listed as a contributing cause of death, regardless of intent (e.g., unintentional, suicide, assault, or undetermined) or type of drug. Opioids include both prescription opioid pain relievers such as hydrocodone, oxycodone, and morphine, as well as heroin, synthetic opioids such as fentanyl that may be prescription or illicitly-manufactured. Deaths related to chronic use of drugs (e.g., damage to organs from long-term drug use), are excluded from this indicator. State & County: Midyear population for the calendar year under surveillance. Midyear populations were based upon the state demographer population estimates, vintage 2015. Drug overdose deaths represent only a small proportion of the overall burden of drug misuse, abuse, dependence, and overdose. The indicator does not distinguish between prescription and illicit drugs as the cause of death. The accuracy of indicators based on codes found in vital statistics data is limited by the completeness and quality of reporting and coding. Death investigations may require weeks or months to complete; while investigations are being conducted, deaths may be assigned a pending status on the death certificate (ICD-10 underlying cause-of-death code of R99, 'other ill-defined and unspecified causes of mortality'). Death certificates with incomplete underlying causes of death may contribute to an undercount of drug overdose deaths involving opioids. The percentage of death certificates with information regarding the specific drug(s) involved in drug overdose deaths varies substantially by county and may vary over time. The substances tested for, the circumstances under which the tests are performed, and how information is reported on death certificates may also vary. Drug overdose deaths that lack information about the specific drugs involved may have involved opioid pain relievers. Estimates of fatal drug overdoses involving opioid pain relievers may be underestimated from lack of drug specificity. Additionally, deaths involving heroin might be misclassified as involving morphine (a natural opioid), because morphine is a metabolite of heroin. A person can be included in more than one drug group, and therefore the rates are not mutually exclusive and will not total the sum of total opioid use. Drug overdose deaths caused by acute drug poisonings that involve heroin as a contributing cause of death, regardless of the intent (e.g. unintentional, suicide, assault, or undetermined). Deaths related to chronic use of drugs (e.g. damage to organs from long-term drug use) are excluded from this indicator. The accuracy of indicators based on codes found in vital statistics data is limited by the completeness and quality of reporting and coding. Death investigations may require weeks or months to complete; while investigations are being conducted, deaths may be assigned a pending status on the death certificate (ICD-10 underlying cause of R99, 'other ill-defined and unspecified causes of mortality'). Death certificated with incomplete underlying causes of death may undercount drug overdose deaths involving heroin. The percentage of death certificates with information regarding the specific drug(s) involved in drug overdose deaths varies substantially by county and may vary over time. The substances tested for, the circumstances under which the tests are performed, and how information is reported on death certificates may also vary. Drug overdose deaths that lack information on the specific drugs involved may have involved heroin. Additionally, some deaths involving heroin might be misclassified as involving morphine (a natural opioid) because morphine is a metabolite of heroin. A person can be included in more than one drug group, and therefore the rates are not mutually exclusive and will not total the sum of total opioid use. Drug overdose deaths caused by acute poisonings that involve methadone as a contributing cause of death, regardless of intent (e.g., unintentional, suicide, assault, or undetermined). Methadone is a synthetic opioid used both as a pain reliever and in medicated assisted therapy for drug dependence. Deaths related to chronic use of drugs (e.g., damage to organs from long-term drug use), are excluded from this indicator. The accuracy of indicators based on codes found in vital statistics data is limited by the completeness and quality of reporting and coding. Death investigations may require weeks or months to complete; while investigations are being conducted, deaths may be assigned a pending status on the death certificate (ICD-10 underlying cause of R99, 'other ill-defined and unspecified causes of mortality'). Death certificates with incomplete underlying causes of death may contribute to an undercount of drug overdose deaths involving methadone. The percentage of death certificates with information regarding the specific drug(s) involved in drug overdose deaths varies substantially by county and may vary over time. The substances tested for, the circumstances under which the tests are performed, and how the information is reported on death certificates may also vary. Drug overdose deaths that lack information about the specific types of drugs involved may have involved methadone. Estimates of fatal drug overdoses involving methadone may be underestimated from lack of drug specificity. A person can be included in more than one drug group, and therefore the rates are not mutually exclusive and will not total the sum of total opioid use. Drug overdose deaths caused by acute drug poisonings that involve certain subcategories of prescription opioid pain relievers as a contributing cause of death, regardless of the intent (e.g. unintentional, suicide, assault, or undetermined) or type of drug. Prescription opioids pain relievers include such drugs as hydrocodone, oxycodone, morphine and methadone. Deaths related to chronic use of drugs (e.g. damage to organs from long-term drug use) are excluded from this indicator. The accuracy of indicators based on codes found in vital statistics data is limited by the completeness and quality of reporting and coding. Death investigations may require weeks or months to complete. While investigations are being conducted, deaths may be assigned a pending status on the death certificate (ICD-10 underlying cause of death code of R99, 'other ill-defined and unspecified causes of mortality'). Death certificates with incomplete underlying causes of death may contribute to an undercount of drug overdose deaths involving opioid pain relievers. Drug overdose deaths caused by acute drug poisonings that involve natural and semi-synthetic opioids as a contributing cause of death, regardless of the intent (e.g. unintentional, suicide, assault, or undetermined) or type of drug. Natural and semi-synthetic opioids include drugs such as hydrocodone, oxycodone, morphine, and codeine. Deaths related to chronic use of drugs (e.g. damage to organs from long-term drug use) are excluded from this indicator. The percentage of death certificates with information regarding the specific drug(s) involved in drug overdose deaths varies substantially by county and may vary over time. The substances tested for, the circumstances under which the tests are performed, and how information is reported on death certificates may also vary. Drug overdose deaths that lack information about the specific types of drugs involved may include some deaths involving natural and semisynthetic opioids. Estimates of fatal drug overdoses involving natural and semisynthetic opioids may be underestimated from lack of drug specificity. Additionally, deaths involving heroin might be misclassified as involving morphine (a naturally derived opioid), because morphine is a metabolite of heroin. A person can be included in more than one drug group, and therefore the rates are not mutually exclusive and will not total the sum of total opioid use. Drug overdose deaths caused by acute drug poisonings that involve opioid pain relievers as a contributing cause of death, regardless of the intent (e.g. unintentional, suicide, assault, or undetermined) or type of drug. Opioid pain relievers include prescribed drugs such as hydrocodone, oxycodone, morphine as well as synthetic opioids such as fentanyl that may be prescription or illicitly-manufactured. Deaths related to chronic use of drugs (e.g. damage to organs from long-term drug use) are excluded from this indicator. The accuracy of indicators based on codes found in vital statistics data is limited by the completeness and quality of reporting and coding. Death investigations may require weeks or months to complete; while investigations are being conducted, deaths may be assigned a pending status on the death certificate (ICD-10 underlying cause of R99, 'other ill-defined and unspecified causes of mortality'). Death certificates with incomplete underlying causes of death may contribute to an undercount of drug overdose deaths involving opioid pain relievers. Drug overdose deaths caused by acute poisonings that involve synthetic opioids other than methadone as a contributing cause of death, regardless of intent (e.g., unintentional, suicide, assault, or undetermined). Synthetic opioids include drugs as tramadol and fentanyl that may be prescription or illicitly manufactured. Deaths related to chronic use of drugs (e.g., damage to organs from long-term drug use), are excluded from this indicator. The accuracy of indicators based on codes found in vital statistics data is limited by the completeness and quality of reporting and coding. Death investigations may require weeks or months to complete; while investigations are being conducted, deaths may be assigned a pending status on the death certificate (ICD-10 underlying cause of R99, 'other ill-defined and unspecified causes of mortality'). Death certificates with incomplete underlying causes of death may contribute to an undercount of drug overdose deaths involving synthetic opioids other than methadone. The percentage of death certificates with information regarding the specific drug(s) involved in drug overdose deaths varies substantially by county and may vary over time. The substances tested for, the circumstances under which the tests are performed, and how information is reported on death certificates may also vary. Drug overdose deaths that lack information about the specific types of drugs involved may have involved synthetic opioids other than methadone. Estimates of fatal drug overdoses involving synthetic opioids may be underestimated from lack of drug specificity. Additionally, synthetic opioid drugs produced illicitly (e.g., non-pharmaceutical fentanyl) are not identified separately from prescription ('pharmaceutical') synthetic opioids in ICD-10 codes. Consequently, numbers of deaths from synthetic opioids may represent both deaths from prescription synthetic opioids and non-pharmaceutical synthetic opioids. A person can be included in more than one drug group, and therefore the rates are not mutually exclusive and will not total the sum of total opioid use. All drug overdose inpatient admissions caused by non-fatal acute poisonings due to the effects of drugs regardless of intent (e.g. unintentional, suicide, assault, or undetermined) or type of drug. Inpatient admissions related to late effects, adverse effects and chronic poisonings due to the effects of drugs (e.g. damage to organs from long-term drug use) are excluded from this indicator. Annual incidence rate-crude and age-adjusted (standardized by the direct method to the year 2000 standard U.S. population). State inpatient admissions data from the Nevada Division of Public and Behavioral Health, Office of Public Health Informatics and Epidemiology (numerator) and population estimates from state demographer and U.S. Census Bureau. Calendar year based on date of inpatient admissions. Injuries that result in inpatient admissions represent only a portion of the overall burden of all drug overdoses. Cases are selected based on the principal diagnosis code or first-listed valid external cause code only, not on any mention of an opioid overdose code. The sensitivity and specificity of these indicators may vary by year, hospital location, and drug type. The accuracy of indicators based on ICD codes found in inpatient admissions data is limited by the completeness and quality of reporting and coding. The overall completeness of external cause coding is of particular concern and should be reviewed in conjunction with the indicator. Inpatient admissions caused by non-fatal acute poisonings due to the effects of all opioids, excluding heroin, regardless of intent (e.g. unintentional, suicide, assault, or undetermined). Inpatient admissions related to late effects, adverse effects and chronic poisonings due to the effects of drugs (e.g. damage to organs from long-term drug use) are excluded from this indicator. Injuries that result in inpatient admissions represent only a portion of the overall burden of all opioid overdoses. Cases are selected based on the principal diagnosis code or first-listed valid external cause code only, not on any mention of an opioid overdose code. The sensitivity and specificity of these indicators may vary by year, hospital location, and drug type. The accuracy of indicators based on ICD codes found in inpatient admissions data is limited by the completeness and quality of reporting and coding. The overall completeness of external cause coding is of particular concern and should be reviewed in conjunction with the indicator. Inpatient admissions caused by non-fatal acute poisonings due to the effects of heroin, regardless of intent (e.g. unintentional, suicide, assault, or undetermined). Inpatient admissions related to late effects, adverse effects and chronic poisonings due to the effects of drugs (e.g. damage to organs from long-term drug use) are excluded from this indicator. Injuries that result in inpatient admissions represent only a portion of the overall burden of heroin overdoses. Cases are selected based on the principal diagnosis code or first-listed valid external cause code only, not on any mention of an opioid overdose code. The sensitivity and specificity of these indicators may vary by year, hospital location, and drug type. The accuracy of indicators based on ICD codes found in inpatient admissions data is limited by the completeness and quality of reporting and coding. The overall completeness of external cause coding is of particular concern and should be reviewed in conjunction with the indicator. Inpatient admissions caused by non-fatal acute poisonings due to the effects of methadone, regardless of intent (e.g. unintentional, suicide, assault, or undetermined). Inpatient admissions related to late effects, adverse effects and chronic poisonings due to the effects of drugs (e.g. damage to organs from long-term drug use) are excluded from this indicator. Injuries that result in inpatient admissions represent only a portion of the overall burden of methadone overdoses. Cases are selected based on the principal diagnosis code or first-listed valid external cause code only, not on any mention of an opioid overdose code. The sensitivity and specificity of these indicators may vary by year, hospital location, and drug type. The accuracy of indicators based on ICD codes found in inpatient admissions data is limited by the completeness and quality of reporting and coding. The overall completeness of external cause coding is of particular concern and should be reviewed in conjunction with the indicator. Inpatient admissions caused by non-fatal acute poisonings due to the effects of opium, regardless of intent (e.g. unintentional, suicide, assault, or undetermined). Inpatient admissions related to late effects, adverse effects and chronic poisonings due to the effects of drugs (e.g. damage to organs from long-term drug use) are excluded from this indicator. Injuries that result in inpatient admissions represent only a portion of the overall burden of opium overdoses. Cases are selected based on the principal diagnosis code or first-listed valid external cause code only, not on any mention of an opioid overdose code. The sensitivity and specificity of these indicators may vary by year, hospital location, and drug type. The accuracy of indicators based on ICD codes found in inpatient admissions data is limited by the completeness and quality of reporting and coding. The overall completeness of external cause coding is of particular concern and should be reviewed in conjunction with the indicator. Inpatient admissions caused by non-fatal effects of opioid related disorders include opioid dependence, and abuse. Inpatient admissions represent only a portion of the overall burden of opioid drug dependences. Cases are selected based on the any mention of opioid dependence within all the diagnosis codes. The sensitivity and specificity of these indicators may vary by year, hospital location, and drug type. The accuracy of indicators based on ICD codes found in inpatient admissions data is limited by the completeness and quality of reporting and coding. The overall completeness of external cause coding is of concern and should be reviewed in conjunction with the indicator. All drug overdose emergency department visits caused by non-fatal acute poisonings due to the effects of drugs regardless of intent (e.g. unintentional, suicide, assault, or undetermined) or type of drug. Emergency department visits related to late effects, adverse effects and chronic poisonings due to the effects of drugs (e.g. damage to organs from long-term drug use) are excluded from this indicator. State emergency department data from the Nevada Division of Public and Behavioral Health, Office of Public Health Informatics and Epidemiology (numerator) and population estimates from state demographer and U.S. Census Bureau. Calendar year based on date of emergency department visit. Injuries that result in emergency department visits represent only a portion of the overall burden of all drug overdoses. Cases are selected based on the principal diagnosis code or first-listed valid external cause code only, not on any mention of an opioid overdose code. The sensitivity and specificity of these indicators may vary by year, hospital location, and drug type. The accuracy of indicators based on ICD codes found in emergency department data is limited by the completeness and quality of reporting and coding. The overall completeness of external cause coding is of particular concern and should be reviewed in conjunction with the indicator. Emergency department visits caused by non-fatal acute poisonings due to the effects of all opioids, excluding heroin, regardless of intent (e.g. unintentional, suicide, assault, or undetermined). Emergency department visits related to late effects, adverse effects and chronic poisonings due to the effects of drugs (e.g. damage to organs from long-term drug use) are excluded from this indicator. Injuries that result in emergency department visits represent only a portion of the overall burden of all opioid overdoses. Cases are selected based on the principal diagnosis code or first-listed valid external cause code only, not on any mention of an opioid overdose code. The sensitivity and specificity of these indicators may vary by year, hospital location, and drug type. The accuracy of indicators based on ICD codes found in emergency department data is limited by the completeness and quality of reporting and coding. The overall completeness of external cause coding is of particular concern and should be reviewed in conjunction with the indicator. Emergency department visits caused by non-fatal acute poisonings due to the effects of heroin, regardless of intent (e.g. unintentional, suicide, assault, or undetermined). Emergency department visits related to late effects, adverse effects and chronic poisonings due to the effects of drugs (e.g. damage to organs from long-term drug use) are excluded from this indicator. Injuries that result in emergency department visits represent only a portion of the overall burden of heroin overdoses. Cases are selected based on the principal diagnosis code or first-listed valid external cause code only, not on any mention of an opioid overdose code. The sensitivity and specificity of these indicators may vary by year, hospital location, and drug type. The accuracy of indicators based on ICD codes found in emergency department data is limited by the completeness and quality of reporting and coding. The overall completeness of external cause coding is of particular concern and should be reviewed in conjunction with the indicator. Emergency department visits caused by non-fatal acute poisonings due to the effects of methadone, regardless of intent (e.g. unintentional, suicide, assault, or undetermined). Emergency department visits related to late effects, adverse effects and chronic poisonings due to the effects of drugs (e.g. damage to organs from long-term drug use) are excluded from this indicator. Injuries that result in emergency department visits represent only a portion of the overall burden of methadone overdoses. Cases are selected based on the principal diagnosis code or first-listed valid external cause code only, not on any mention of an opioid overdose code. The sensitivity and specificity of these indicators may vary by year, hospital location, and drug type. The accuracy of indicators based on ICD codes found in emergency department data is limited by the completeness and quality of reporting and coding. The overall completeness of external cause coding is of particular concern and should be reviewed in conjunction with the indicator. Emergency department visits caused by non-fatal acute poisonings due to the effects of opium, regardless of intent (e.g. unintentional, suicide, assault, or undetermined). Emergency department visits related to late effects, adverse effects and chronic poisonings due to the effects of drugs (e.g. damage to organs from long-term drug use) are excluded from this indicator. Injuries that result in emergency department visits represent only a portion of the overall burden of opium overdoses. Cases are selected based on the principal diagnosis code or first-listed valid external cause code only, not on any mention of an opioid overdose code. The sensitivity and specificity of these indicators may vary by year, hospital location, and drug type. The accuracy of indicators based on ICD codes found in emergency department data is limited by the completeness and quality of reporting and coding. The overall completeness of external cause coding is of particular concern and should be reviewed in conjunction with the indicator. Emergency department visits caused by non-fatal effects of opioid related disorders include opioid dependence, and abuse. Emergency department visits represent only a portion of the overall burden of opioid drug dependences. Cases are selected based on the any mention of opioid dependence within all the diagnosis codes. The sensitivity and specificity of these indicators may vary by year, hospital location, and drug type. The accuracy of indicators based on ICD codes found in emergency department data is limited by the completeness and quality of reporting and coding. The overall completeness of external cause coding is of concern and should be reviewed in conjunction with the indicator. Opioid analgesic controlled substance prescriptions dispensed, per 1000 residents. This indicator includes select dispensed prescription opioids as entered into the Nevada prescription drug monitoring program (PDMP) system. Drugs administered to patients by substance abuse treatment programs are usually excluded from PDMP files and therefore will not be captured by this indicator. Additional exclusion criteria are: (1) drugs not typically used in outpatient settings or otherwise not critical for calculating dosages in morphine milligram equivalents (MME), such as cough and cold formulations including elixirs, and combination products containing antitussives, decongestants, antihistamines, and expectorants; (2) buprenorphine products indicated for medication assisted treatment (MAT) to treat opioid use disorder. Schedule II, III, and IV opioid analgesic prescriptions dispensed to Nevada residents within the state. Annual number of prescriptions and annual crude rates. Data are from the Nevada Prescription Drug Monitoring Program collected by the Board of Pharmacy (numerator) and population estimates from state demographer and U.S. Census Bureau. Calendar year based on date prescription was filled. Includes records that have a fill date between January 1st and December 31st for a given year. Limited to prescriptions to Nevada residents in Nevada's PDMP. Prescription numbers represent only one measure of prescription opioids in Nevada. Dosage and duration of prescriptions are not captured by the measure. The indicator does not capture whether the dispensed medications were taken as prescribed or taken by prescribed patient. The indicator does not capture opioids used outside of medical care. The indicator does not capture prescriptions of Nevada residents when they are filled in other states. Prescription numbers represent only one measure of prescription opioids in Nevada. Dosage and duration of prescriptions are not captured by the measure. The indicator does not capture whether the dispensed medications were taken as prescribed or taken by prescribed patient. The indicator does not capture opioids used outside of medical care. The indicator does not capture prescriptions of Nevada residents when they are filled in other states. Opioid analgesic controlled substance prescriptions dispensed, translated into morphine milligram equivalents, per 1000 residents. Buprenorphine and drugs not typically used in outpatient settings are excluded. Drugs not critical for calculating dosages in morphine milligram equivalents are also excluded; these include cough and cold formulations including elixirs, and combination products containing antitussives, decongestants, antihistamines, and expectorants. MME allows different types of opioid medicines with different potencies to be compared. Morphine milligram equivalents (MME) of schedule II, III, and IV opioid analgesic prescriptions dispensed to Nevada residents within the state by patient location, prescriber location, and pharmacy location. Pharmacy data not available for 2011 and 2012. Number of patients with an average of ≥90 MME of opioid analgesic drugs prescribed per day in a given year, per 1000 residents. This indicator includes select dispensed prescription opioids as entered into the Nevada prescription drug monitoring program (PDMP) system. Drugs administered to patients by substance abuse treatment programs are usually excluded from PDMP files and therefore will not be captured by this indicator. Additional exclusion criteria are: (1) drugs not typically used in outpatient settings or otherwise not critical for calculating dosages in morphine milligram equivalents (MME), such as cough and cold formulations including elixirs, and combination products containing antitussives, decongestants, antihistamines, and expectorants; (2) buprenorphine products indicated for medication assisted treatment (MAT) to treat opioid use disorder. Number of patients with an average of ≥90 MME of opioid analgesic drugs prescribed per day in a given quarter, limited to schedule II, III, and IV drugs. Exclusion criteria can be found above in the definition of the indicator. Average MME per day is calculated from total number of MMEs from all drugs prescribed per day, inclusive of overlapping prescriptions of either the same or and differing drugs, divided by the total number of prescription days. Limited to Nevada residents with prescriptions in the Nevada PDMP. Nevada residents who received an opioid analgesic prescription, identified as numerator, for the calendar year under surveillance in the Nevada PDMP. Data are from the Nevada Prescription Drug Monitoring Program collected by the Board of Pharmacy. High MME represents only one measure of opioid prescribing. Neither patient diagnosis nor clinician specialty is delineated with the indicator, nor is co-prescribing of drugs that are contraindicated (e.g., benzodiazepines). The indicator does not capture whether the dispensed medications were taken as prescribed or taken by the prescribed patient. The indicator does not capture opioids used outside of medical care. The indicator does not capture prescriptions of Nevada residents when they are filled in other states. The accuracy of indicators based on PDMP data is limited by the completeness and quality of the data. Indicators at the patient level also depend on specific PDMP procedures for determining which prescriptions belong to the same patient. Prescriptions captured by a PDMP will vary based on the schedule of controlled substances (schedules II-V) required to be reported to the PDMP. Types of pharmacies required to enter the PDMP (Veterans Affairs, Indian Health Service, mail-order, online/Internet, resident prescriptions dispensed at out-of-state pharmacies) will also affect the prescriptions captured. Methods used to identify and match/link unique patients within a PDMP vary in completeness and accuracy. Rescheduling and upscheduling of specific drugs (e.g., tramadol, hydrocodone) will affect trends over time. Number of patients receiving prescriptions for opioid analgesics from five or more prescribers dispensed at five or more pharmacies in a six-month period, per 100,000 residents. This indicator includes select dispensed prescription opioids as entered into the Nevada prescription drug monitoring program (PDMP) system. Drugs administered to patients by substance abuse treatment programs are usually excluded from PDMP files and therefore will not be captured by this indicator. Additional exclusion criteria are: (1) drugs not typically used in outpatient settings or otherwise not critical for calculating dosages in morphine milligram equivalents (MME), such as cough and cold formulations including elixirs, and combination products containing antitussives, decongestants, antihistamines, and expectorants; (2) buprenorphine products indicated for medication assisted treatment (MAT) to treat opioid use disorder. Number of patients receiving prescriptions for opioid analgesics from five or more prescribers and that are dispensed at five or more pharmacies in a six-month period, limited to schedule II, III, and IV drugs. Other exclusion criteria can be found above in the definition of the indicator. Limited to Nevada residents with prescriptions in the Nevada PDMP. Annual rate of patients receiving prescriptions for opioid analgesics from five or more prescribers dispensed at five or more pharmacies in a six-month period. Calendar year based on date prescription was filled. Includes records that have a fill date between January 1st and December 31st for a given year and population estimates from state demographer and U.S. Census Bureau. Multiple provider episodes (MPE) represents only one measure of opioid prescribing. Neither patient diagnoses nor clinician specialty is delineated with the indicator. The indicator does not capture whether the dispensed medications were taken as prescribed or taken by the prescribed patient. The indicator does not capture opioids used outside of medical care. The indicator does not capture prescriptions of Nevada residents when they are filled in other states. The accuracy of indicators based on PDMP data is limited by the completeness and quality of the data. Indicators at the patient level also depend on specific PDMP procedures for determining which prescriptions belong to the same patient. Prescriptions captured by a PDMP will vary based on the schedule of controlled substances (schedules II-V) required to be reported to the PDMP. Types of pharmacies required to enter into the PDMP (Veterans Affairs, Indian Health Service, mail-order, online/Internet, resident prescriptions dispensed at out-of-state pharmacies) will also affect the prescriptions captured. Methods used to identify and match/link unique patients within a PDMP vary in completeness and accuracy. Rescheduling and upscheduling of specific drugs (e.g., tramadol, hydrocodone) will affect trends over time. Patients with no prescribed opioid prescriptions in the previous 60 days who were prescribed at least one long acting/extended release (LA/ER) opioid, among all patients with LA/ER opioid prescriptions. This indicator includes select dispensed prescription opioids as entered into the Nevada prescription drug monitoring program (PDMP) system. Drugs administered to patients by substance abuse treatment programs are usually excluded from PDMP files and therefore will not be captured by this indicator. Additional exclusion criteria are: (1) drugs not typically used in outpatient settings or otherwise not critical for calculating dosages in morphine milligram equivalents (MME), such as cough and cold formulations including elixirs, and combination products containing antitussives, decongestants, antihistamines, and expectorants; (2) buprenorphine products indicated for medication assisted treatment (MAT) to treat opioid use disorder. Nevada residents in the Nevada PDMP who received an LA/ER opioid prescription for the calendar year under surveillance. Annual percentage of patients receiving LA/ER prescriptions who were opioid-naive. Year is based on dispensed date of prescription. Percentage of opioid-naive patients receiving LA/ER opioids represents only one measure of opioid prescribing. Neither patient diagnosis nor clinician specialty is delineated with the indicator. The indicator does not capture whether the dispensed medications were taken as prescribed or taken by the prescribed patient. The indicator does not capture opioids used outside of medical care. The indicator does not capture prescriptions of Nevada residents when they are filled in other states. Total number of days that patients had more than one prescribed opioid prescription, among all prescription days. This indicator includes select dispensed prescription opioids as entered into the Nevada prescription drug monitoring program (PDMP) system. Drugs administered to patients by substance abuse treatment programs are usually excluded from PDMP files and therefore will not be captured by this indicator. Additional exclusion criteria are: (1) drugs not typically used in outpatient settings or otherwise not critical for calculating dosages in morphine milligram equivalents (MME), such as cough and cold formulations including elixirs, and combination products containing antitussives, decongestants, antihistamines, and expectorants; (2) buprenorphine products indicated for medication assisted treatment (MAT) to treat opioid use disorder. Total number of days by year any patient has more than one opioid prescription. A day with more than two overlapping prescriptions is still counted as one day of overlapping prescriptions. Prescriptions are limited to schedule II, III, and IV drugs. Other exclusion criteria can be found above in the definition of indicator. Limited to Nevada residents with prescriptions in the Nevada PDMP. Total number of opioid prescription days, i.e. sum of prescribed opioid days (exclusion criteria of opioids applied), for Nevada residents in the Nevada PDMP for the quarter. Annually percentage of days that patients had more than one opioid prescription on the same day. Overlapping opioid prescriptions is only one measure of opioid prescribing. The indicator does not capture whether the opioids prescribed were long acting/extended release or short acting. Neither patient diagnosis nor clinician specialty is delineated with indicator. The indicator does not capture whether the dispensed medications were taken as prescribed or taken by the prescribed patient. The indicator does not capture opioids used outside of medical care. The indicator does not capture prescriptions of Nevada residents when they are filled in other states. Total number of days that patients had an opioid and benzodiazepine prescription on the same day, among all opioid prescription days. This indicator includes select dispensed prescription opioids as entered into the Nevada prescription drug monitoring program (PDMP) system. Drugs administered to patients by substance abuse treatment programs are usually excluded from PDMP files and therefore will not be captured by this indicator. Additional exclusion criteria are: (1) drugs not typically used in outpatient settings or otherwise not critical for calculating dosages in morphine milligram equivalents (MME), such as cough and cold formulations including elixirs, and combination products containing antitussives, decongestants, antihistamines, and expectorants; (2) buprenorphine products indicated for medication assisted treatment (MAT) to treat opioid use disorder. Total number of days per quarter any patient had at least one opioid AND at least one benzodiazepine prescription on the same day. Prescriptions are limited to schedule II, III, and IV drugs. Other exclusion criteria can be found above in the definition of the indicator. Limited to Nevada residents with prescriptions in the Nevada PDMP. Total number of opioid prescription days, i.e. sum of prescribed opioid days (exclusion criteria of opioids applied), for Nevada residents in the Nevada PDMP for the quarter. A prescribed day with overlapping opioid prescriptions (≥2) and/or overlapping opioid and benzodiazepine prescriptions (≥2) is only counted as one prescribed opioid day. Annually percentage of days that patients have both an opioid and benzodiazepine prescription on the same day. Overlapping opioid and benzodiazepine prescriptions are only one measure of opioid prescribing. The indicator does not capture prescription dosage, nor whether the opioids prescribed were long acting/extended release or short acting. The indicator does not capture whether the dispensed medications were taken as prescribed or taken by the prescribed patient. The indicator does not capture opioids, benzodiazepines or any other drugs used outside of medical care. The indicator does not capture prescriptions of Nevada residents when they are filled in other states. The accuracy of indicators based on PDMP data is limited by the completeness and quality of the data. Indicators at the patient level also depend on specific PDMP procedures for determining which prescriptions belong to the same patient. Prescriptions captured by a PDMP will vary based on the schedule of controlled substances (schedules II-V) required to be reported to the PDMP. Types of pharmacies required to enter the PDMP (Veterans Affairs, Indian Health Service, mail-order, online/Internet, resident prescriptions dispensed at out-of-state pharmacies) will also affect the prescriptions captured. Methods used to identify and match/link unique patients within a PDMP vary by completeness and accuracy. Rescheduling and upscheduling of specific drugs (e.g., tramadol, hydrocodone) will affect trends over time.